Looking for a very special treat to show your love this Valentines? Take your sweetheart to a see a cult classic film in a unique setting as held by The Village Screen. ’10 Things I Hate About You’ is being shown at The Abbeydale Picture House in Sheffield. It will also be screened at Victoria Baths in Manchester where you can also see such loved-up classics as ‘Romeo + Juliet’ and ‘The Little Mermaid’. The Village Screen tickets are currently available. Stereophonics blasted out of Cwmaman in South Wales during the latter years of the Nineties to become one of Britain’s bigger ever bands, rocking the world with such massive hits as ‘Dakota’, ‘Have A Nice Day’ plus ‘The Bartender And The Thief’. Set a personal reminder right now so you don’t miss the release of tickets for their summer tour. Stereophonics tickets are released at 09:00 on Friday 18/01. London Chamber Orchestra will be performing the soundtrack to the best loved BBC series Downton Abbey for a magnificent open-air concert held on the stunning grounds of Highclere Castle in Berkshire. Hosted by actor Jim Carter, best known for his role as Mr Carson, Music From Downton Abbey is perfect for both fans of the iconic series and classical music. Music From Downton Abbey tickets are released at 09:00 on Friday 18/01. Sydney’s biggest rude boys Sticky Fingers have earned a wild reputation for their mad onstage antics and fierce live performances. A favourite of the critics, you are about to be offered the chance to hear their unique melodic, mash of psychedelic, pop and roots music for yourself with tickets for their gig at O2 Academy Brixton released this week! Sticky Fingers tickets are released at 10:00 on Friday 18/01. Led by Ginger, The Wildhearts are the Newcastle based band that truly embody the spirit of hard rock. This year will see the release of their ninth studio album ‘Renaissance Men’ which they promote with an awesome Spring tour. See you at the front! The Wildhearts tickets are released at 09:00 on Friday 18/01. Everyone loves the thrill of live music. And with demand ever-growing, it makes sense to be ready for the release of your favourite tickets by setting a personal reminder with Gigantic which will alert you with a text message or an email just before they come on sale. 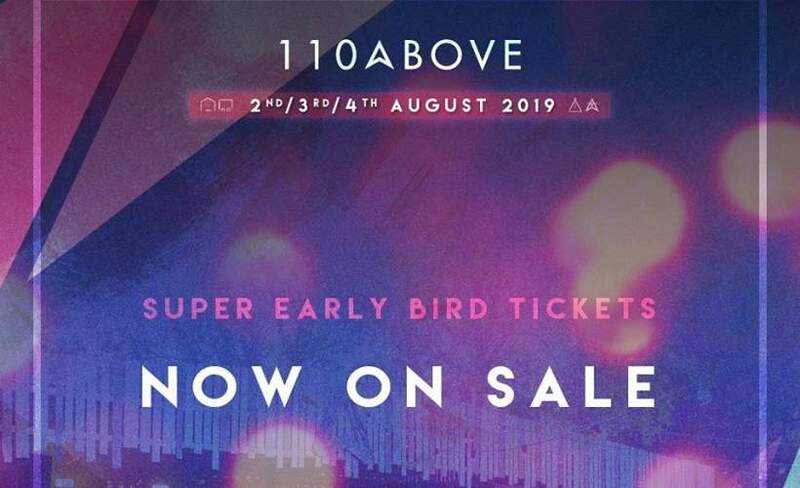 Last call to get Early Bird tickets for 110 Above. The festival never fails to be the biggest party to hit Leicestershire so make sure you get your tickets to the big weekender at Gospall Hall Farm right now! 110 Above tickets are currently available. Neighbourhood Weekender takes place at Victoria Park in Warrington and boasts a huge line up which includes George Ezra, Richard Ashcroft, Primal Scream and many more essential acts! Neighbourhood Weekender tickets are currently available. Sounds Of The City brings the world’s best performers in rock and pop to Manchester; a city that has long established its musical pedigree. 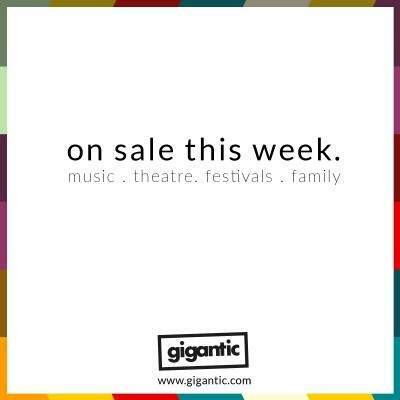 Catch Elbow, Kylie, The National and more this summer! Sounds Of The City tickets are currently available. Ready for a healthy dose of space rock opera madness? Muse never fail to bring the disparate influences of interstellar conspiracy theories, humongous power ballads, out of this world stage special effects and furious metal inspired riffs! Catch at stadiums in London, Bristol and Manchester during June. Muse tickets are currently available. Having sold 300 million records and truly changed the sound of rock and pop with such hits as ‘Rocket Man’, ‘I’m Still Standing’ and ‘Don’t Go Breaking My Heart’; Elton John has proved he is undoubtedly one of the greatest performers of all time. This year sees embark on his farewell tour. Elton John tickets are currently available.